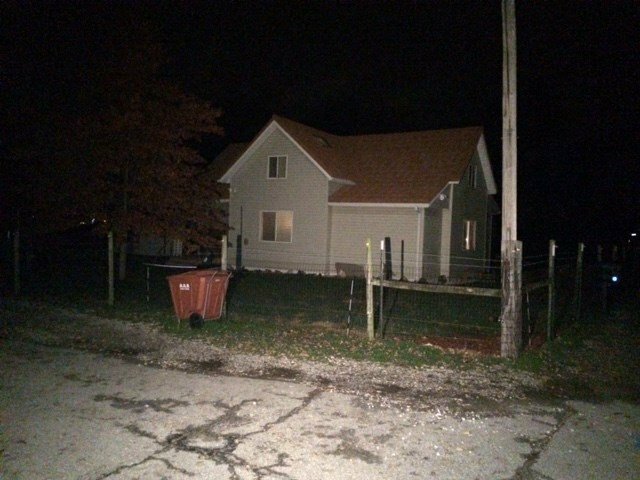 KCTV5 Deputies shoot bulldog after it mauls owner: Deputies are forced to shoot a woman's bulldog after it mauls her. She later had her foot amputated. A 54 year old Independence woman has life threatening injuries, after being attacked by her dog late Monday morning. According to a press release, Dora Pennington, the owner of the AMERICAN BULLDOG, had severely mauled left foot, damaged right foot, a large portion of hair missing, and almost all of her clothing ripped off. When the Deputies arrived, the dog was still actively aggressive, and they had to shoot the dog to get to Pennington. Captain Mike Montgomery says the dog was very "agressive and vicious" when officers arrived at the house, near the Lake City Plant. Deputies were able to place a tourniquet on the Pennington's left leg and get Emergency Medical Crews into the scene. Pennington was transported to a local hospital and her spouse was located and contacted about the incident. The dog was described as an approximately 3-year-old, 110-pound, male, American Bulldog that the owners had had for about one year. According to Independence Animal Control, the dog had bitten two other people in the past. Jackson County Animal Control has taken custody of the dog’s remains and will be forwarding them on to the Missouri State laboratory for testing of possible rabies infection. It's NOT rabies! For normal dogs, yes, consider rabies. For an American Bulldog that's bitten twice in the past, IT'S A VICIOUS DOG! I guess the price to be paid for getting a dangerous dog is, your limbs, your scalp, and sometimes even your life. ARE THEY WORTH IT?! I think not, but I'm a sane person.